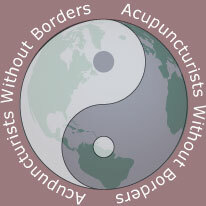 Acupuncturists Without Borders’ vision is to foster the creation of stable, peaceful, global communities through its community-based acupuncture services and trainings which interrupt the cycles of unresolved trauma, restoring hope, dignity, and resilience. AWB uses a very simple protocol with five tiny, one-time use, disposable needles in each ear. This treatment has been shown to be highly effective at resetting the nervous system when a person has been traumatized, and helping them begin to function once again. Currently AWB volunteers are working with Veterans and active duty military personnel in more than two dozen clinics around the United States, providing approximately 10,000 treatments each year. AWB has also been working with trauma survivors in Nepal, Mongolia, Ecuador, and Haiti, and training trauma recovery practitioners in Nepal, Mongolia, Haiti, and Chile.